Early in their set at Bexhill's De La Warr Pavilion last night, Savages' lead singer Jehnny Beth emphatically proclaims, with all the force and passion of her vocal delivery, that "love is the answer". A line from the opening song of new album, Adore Life, it is a sentiment that is quickly compromised as the evening progresses. On Sad Person, Beth observes that "Love is a disease/The strongest addiction I know." And it is this contradiction that is at the heart of Adore Life. If the first half of the album's title is in Beth's native French, then this collection of songs would seem to be about the joy, pain and intensity that necessarily accompany a love life. If only love was as black and white as Savages' image: the monochrome album artwork and the chiaroscuro setting of their live shows creates an aura of studied cool; but this is belied by Jehnny Beth. Cajoling the audience into participation, laughing at a false start and even a spot of crowd surfing ("I can't believe you dropped me! "), there was no distance, only enjoyment in an energetic performance. Perhaps buoyed by the brio of support act Bo Ningen and their Japanese acid noise, the audience respond in kind. 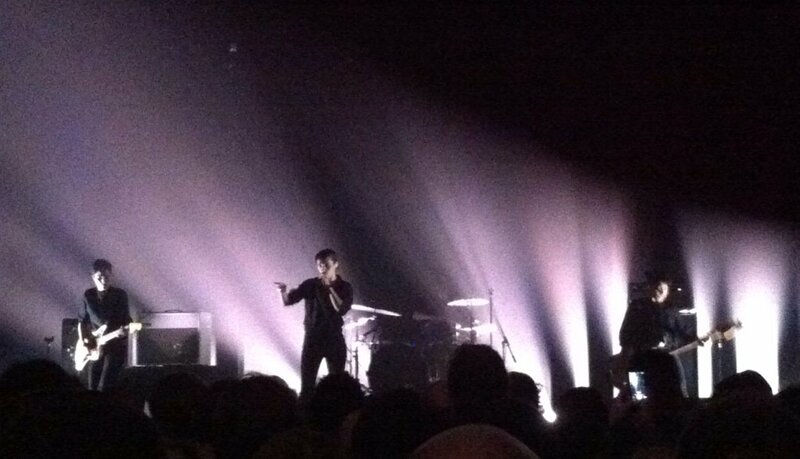 It is over two years since I last saw Savages live and, that night in Brighton, they were full of the post-punk vigour of their debut album, Silence Yourself. Few of those songs featured last night, although the frantic Patti Smith vitality of Husbands is greeted rapturously by the crowd; but the new material shows a band developing. T.I.W.Y.G. sounds as incredible live as it does on record and, on Adore, they demonstrate a sound maturing to include flourishes of light and shade. Gemma Thompson still paints a remarkable sonic landscape with her guitar and Ayse Hassan's rumbling, sternum-shaking bass is much more to the fore. Underpinned by now-seated drummer Fay Milton's rapid-fire staccato drumming, Savages are a tight unit and, after perennial favourite Fuckers, they unite in a sisterly bow to take the audience's acclaim.